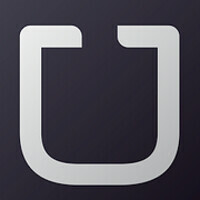 AT&T has worked out a deal with Uber for the company's app to be pre-installed on all Android phones sold by the carrier, starting this summer. For those unaware, Uber is a company that provides you with a private driver on demand, and operates in more than 100 cities and 30 countries. 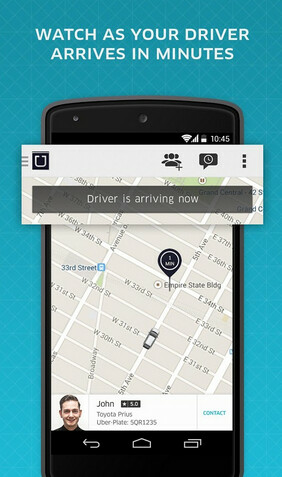 Using the Uber app, you can request a ride and within minutes, your driver will arrive. The app provides quotes on different vehicle styles and sizes, and you can pay with PayPal, Google Wallet, or with a credit card that is added to your secure Uber account. You don't even have to know your address to be picked up. 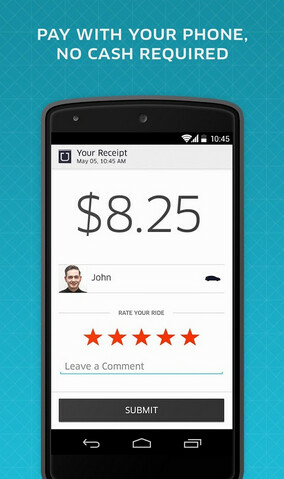 And once a driver is on the way, you can follow his progress toward you by using the app. In the U.S., the service is available in 60 U.S. cities and the company is hoping that the deal with AT&T will help them expand. Earlier this month, Uber support was added to Google Maps. This way, you can check on how long it would take you to get to a destination in a Uber arranged ride, as opposed to taking public transportation. 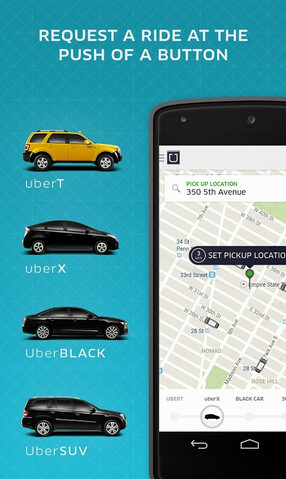 If the Uber ETA is okay with you, one click will take you right to the Uber app so that you can order up your ride. If you can delete it, fine. If not, it's bloatware. More bloatware, yay! *Not that I own a carrier branded phone. Also rooted. Still for people that are not in my position. Yay with sarcasm. Go away! We don't need those on our phones. We have enough bloatware from my ATT which I'm always forced to root and freeze/uninstall them. I hope Google will release next iteration of Nexus so I can just switch to it. Buying GPE is actually same price from ATT un-subsidized phones as well. Please explain how "Bloatware" effects your phone? I have an ATT Note 3 which has nothing more than ATT apps. I have no lag, memory issues or problems. All the "Bloatware" apps didn't require root for me to disable and remove. Without root, you can only disable those apps, not delete. I know cause I'm stuck on crappy unrootable 4.4.2 on my Note 3. And the tethering shortcut can't even be disabled, so I'm forced to hide it in a folder. Well I guess my experience is different from yours. My Bloatwares have been secretly running on the side which usually drain my battery silently without you knowing it. And they don't show up on the battery meter that they are the culprit ones, specially some of the ATT ones. When disabled some of them will still run on services. Only freezing will work or removing them for me and I see a big difference in prolonging my battery for extra hours per day. Carrier IQ are one of the things on ATT that cannot be disabled without root, unlike tmobile and others. Same experience here. The bloatware/spyware services either cannot be turned off or will turn themselves back on in a minute or two if I turn them off. I've learned from this and will never buy a locked down phone again. I am so sick of these preloaded apps. There is no time I can think of when I would actually use this. I find this to be quite useful actually. "I find this to be quite useful actually." Because supporting Goldman Sachs and forcing US taxi cab drivers out of a job makes you feel good? Being a little over dramatic? Not really. Uber has cost a lot of people their jobs and is a Goldman Sachs company. Shudders at thought of carrier boat in addition to OEM bloat. Nightmarish.